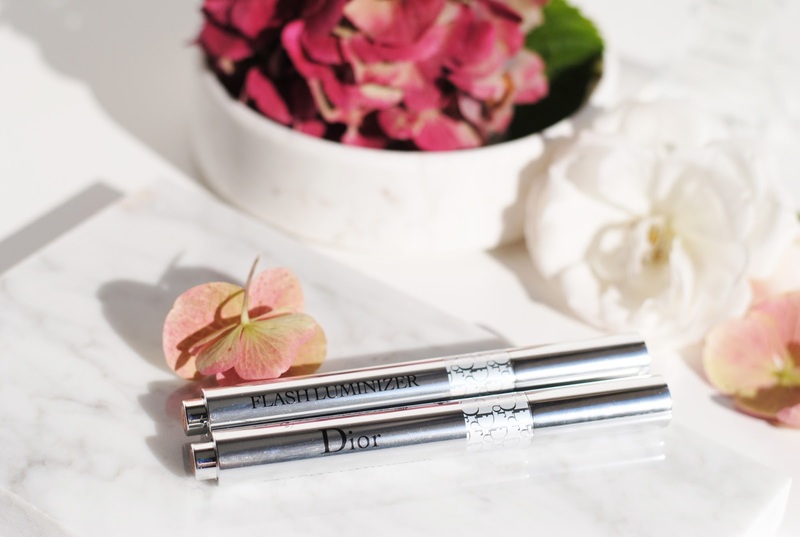 Part 2 of the pretty, very pretty Dior Skyline collection. 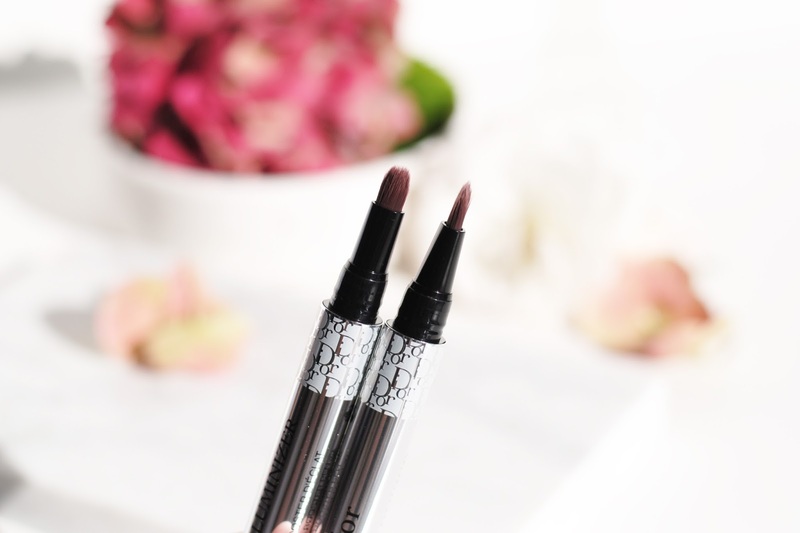 Reviewing 5 other products, from contour to lipstick! 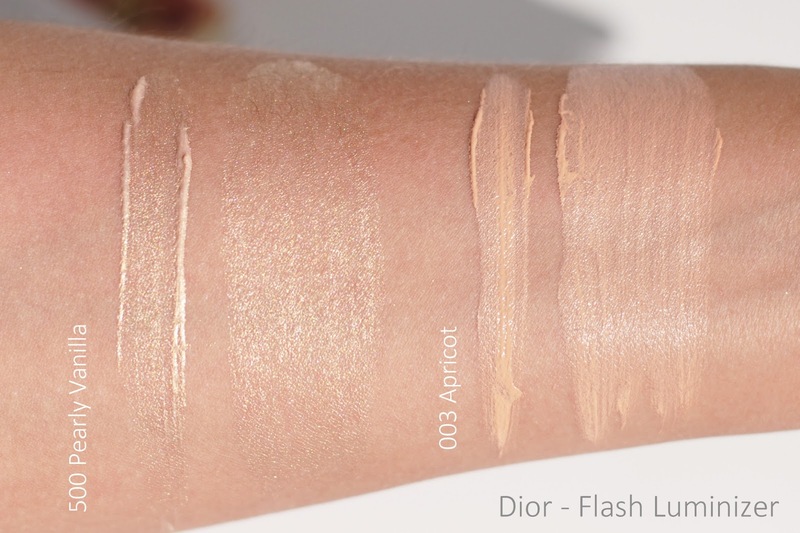 The Dior Flash Luminizer was one of those products that completely surprised me. 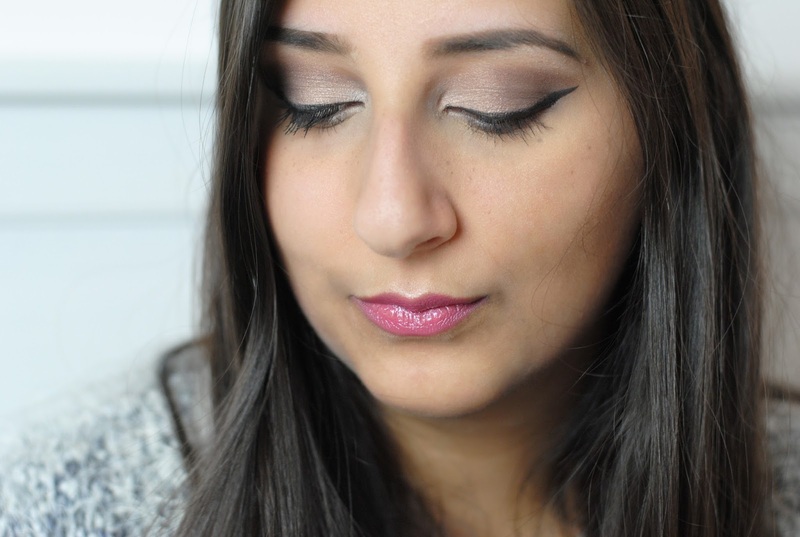 I expected something like the YSL Touche Eclat; a radiant concealer, a very subtle highlighter to catch the light. But Pearly Vanilla is so much more than a radiant concealer, it's more of a -gorgeous!- warm golden highlighter. With sparkles. The shade does blend into your skin - perfect for applying a ray of light here and there. But you can also pat it on, on the cheekbones for example, for an actual highlighter like effect. Completely surprised by this shade and I like it! There are 5 shades available (shimmery and non-shimmery) and Apricot is a matte peachy hue. I would use this one to define lip contours for example, and as a concealer. 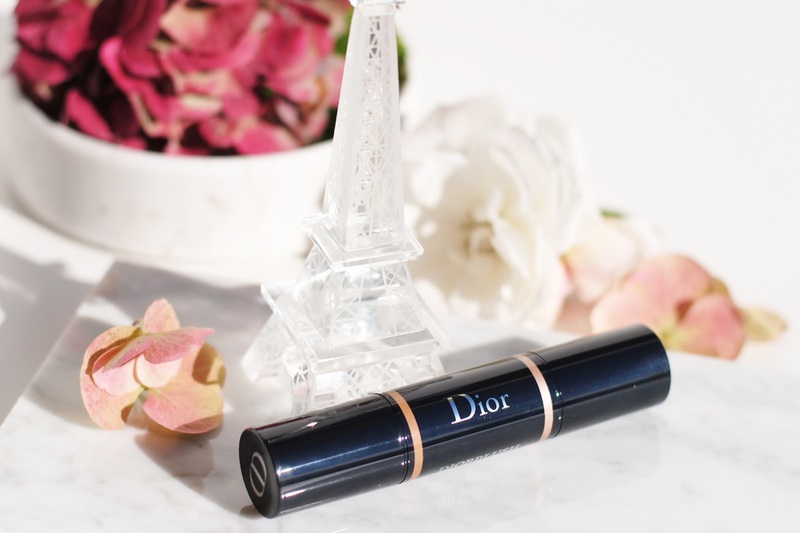 A Dior contour stick! There are 2 sides to the stick and 2 sides to my review. The highlighter is beautiful. Contour sticks normally don't have a glowy, shimmery highlighter, it's usually matte. But it's such a nice shade, and it's the perfect tool for strobing. I think I will actually use this pretty often to highlight details like my cupid bow for example. The contour color on the other hand, is not how it should be. The color is way too warm, it has a vibrant warm tone in it that makes it look almost orange instead of brown. They should have went with a cooler shade. I looked at the campaign photo and the model's contour is perfect: a cool, shadow-like shade. 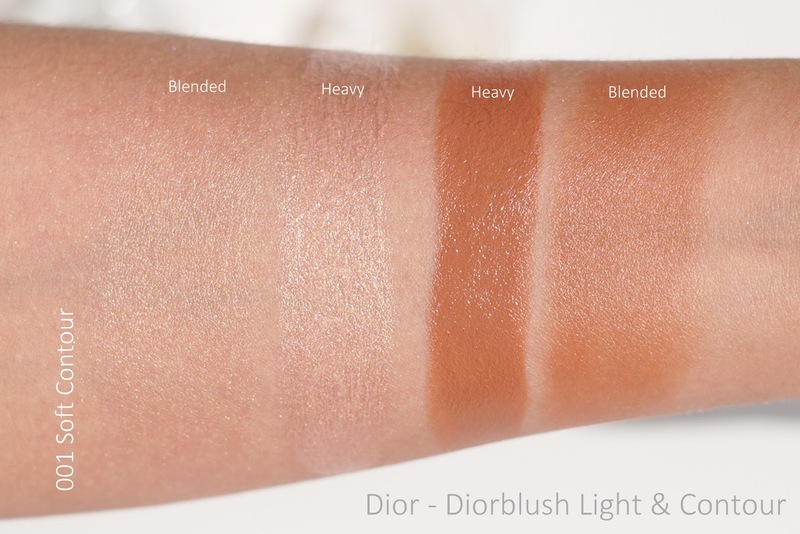 So I looked at the other shades of the Diorblush, but they all have a warm undertone instead of cool. It also didn't gave a good result when blended, it's even almost too warm to use as a bronzer. 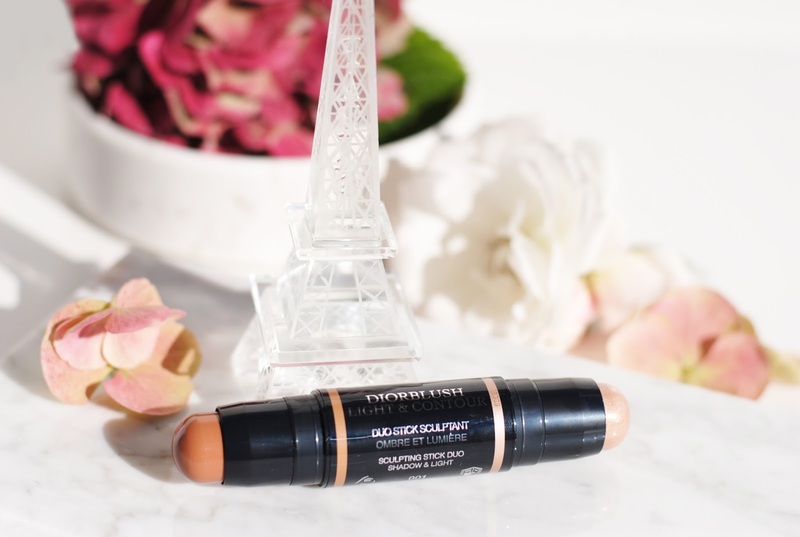 This stick literally is half worth it: the highlighter is beautiful but the contour color is not what it should be. 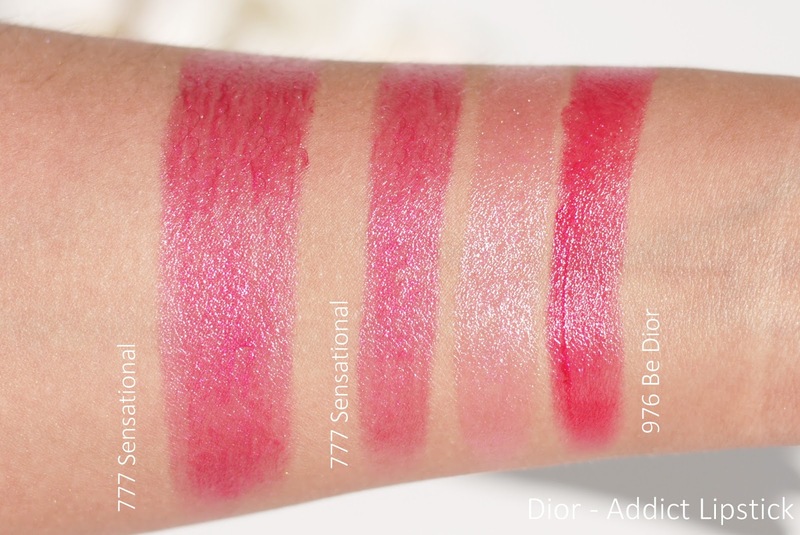 For this collection there are 3 new Addict shades, from which I have the pink shade: Sensational. 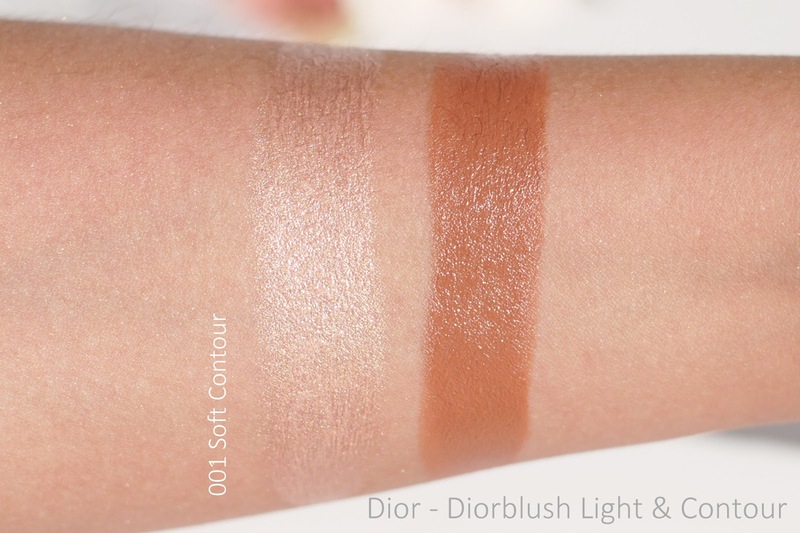 I swatched Be Dior next to it, because I thought it looked pretty similar. 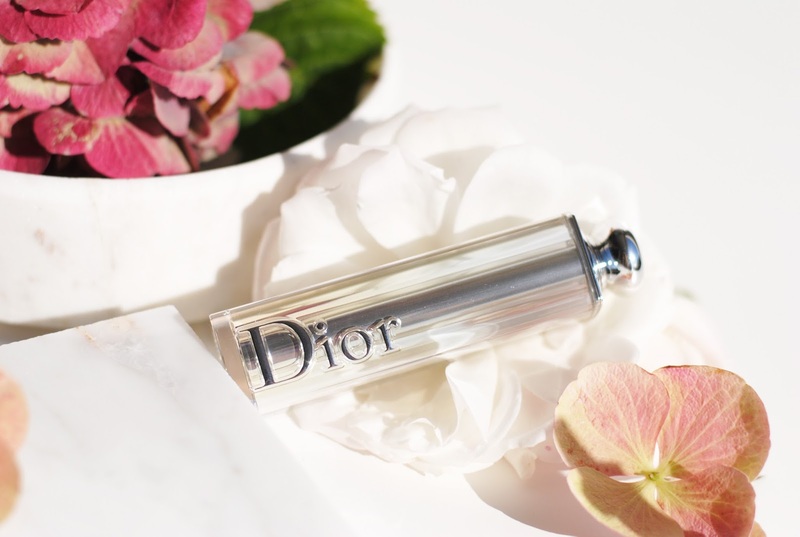 Be Dior is in fact more covering and more red. 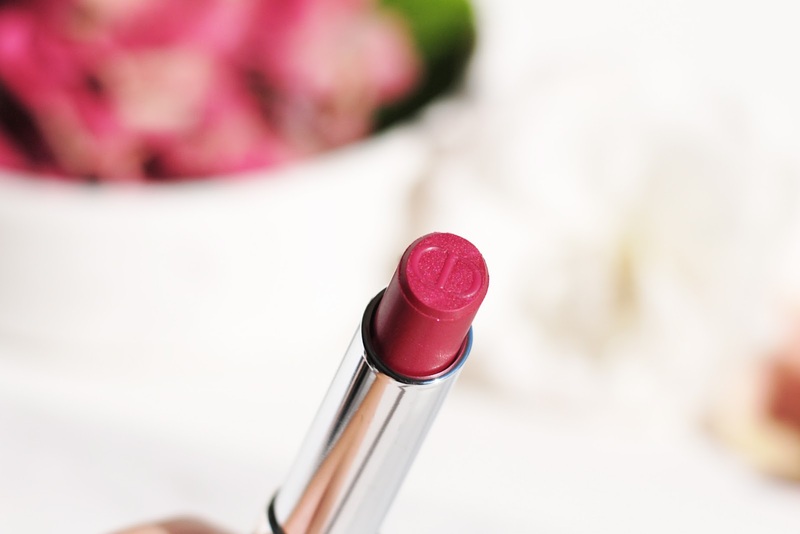 Sensational is the perfect everyday pink shade. Oh and do you see that glowy cupids bow? 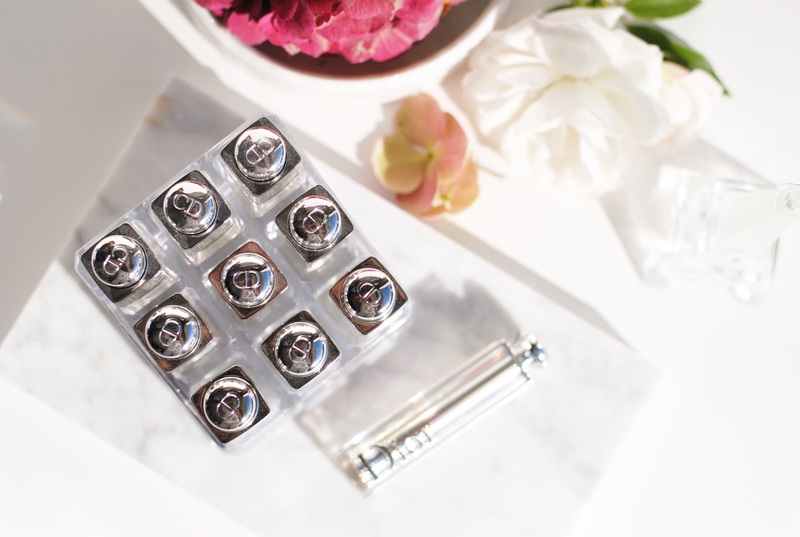 That's the Diorblush contour stick! 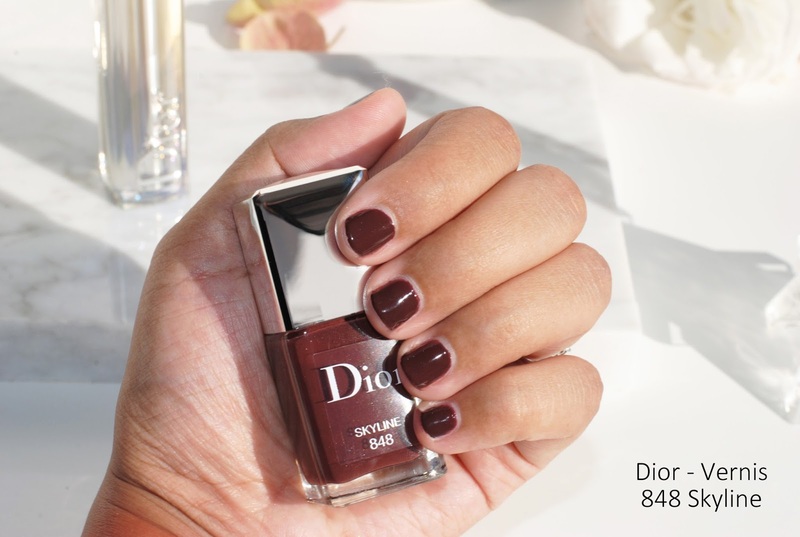 I love Dior nail polishes. Over time, reviewing new collections, my collection of nail polishes also grew quite a bit. 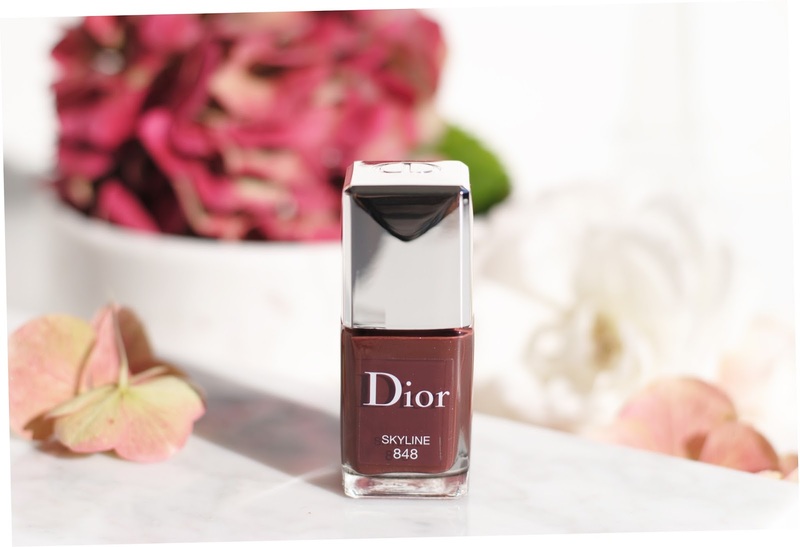 They're still one of the easiest nail polishes to apply, and they always have the same formula that's completely on point. 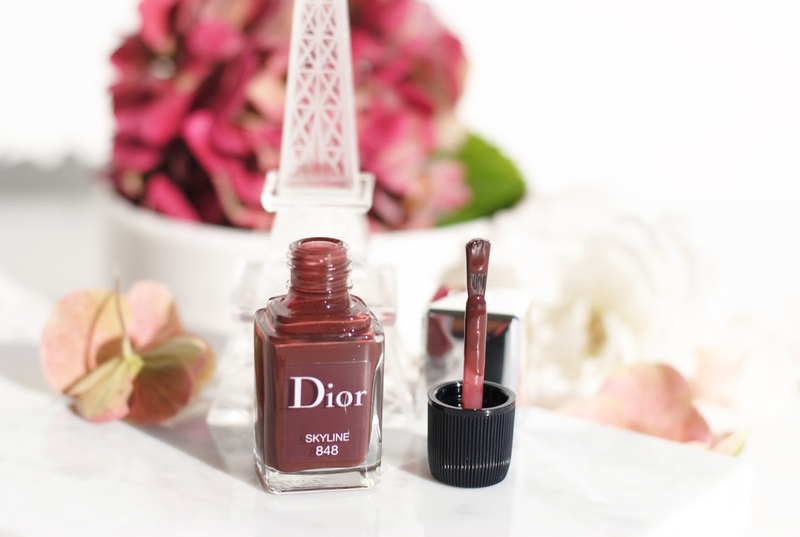 Skyline is a red-brown, the perfect fall color. On the photo above I'm wearing: the lipstick, the contour stick, the eyeshadow palette, flash luminizer (not really visible on photo). 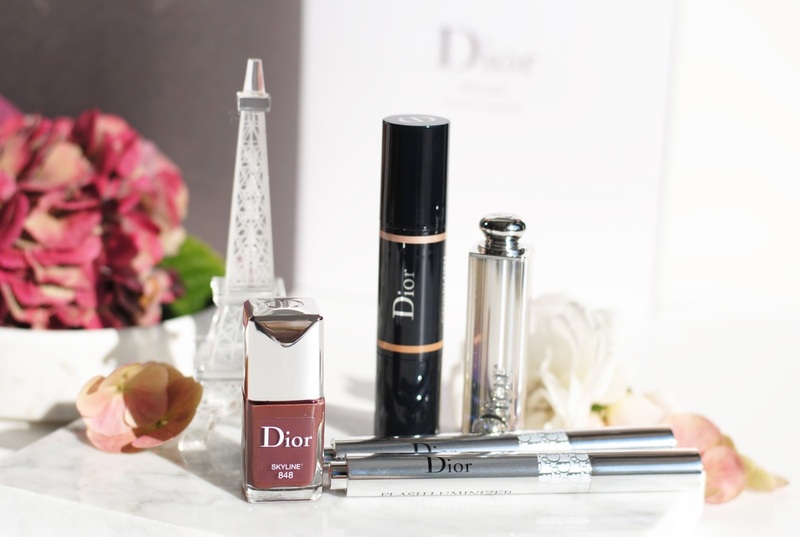 The Dior Skyline collection is so much better than expected, I'll say it again. At first sight there were only 2 'standout products': the eyeshadow palettes and the highlighter (not in the review, but I heard it's beautiful). When I tried the other products, some really surprised me and that's what you want in a collection. 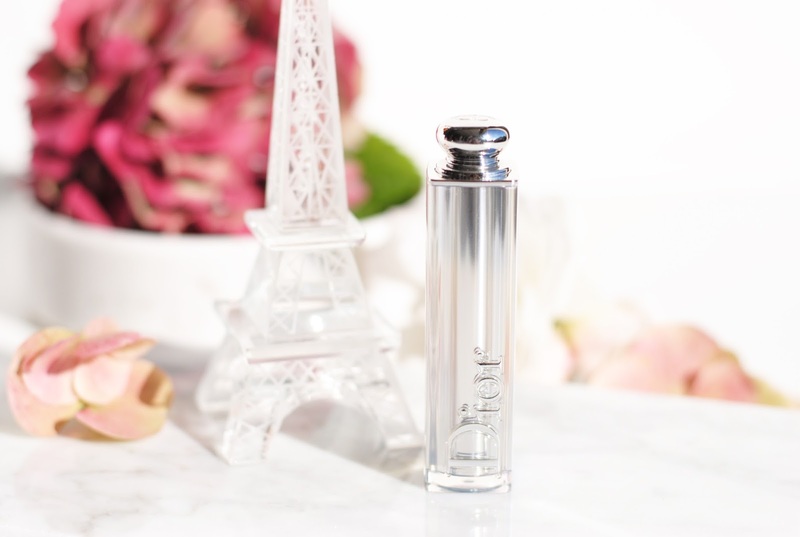 That after so many of their products, so many collections, they can still surprise you. 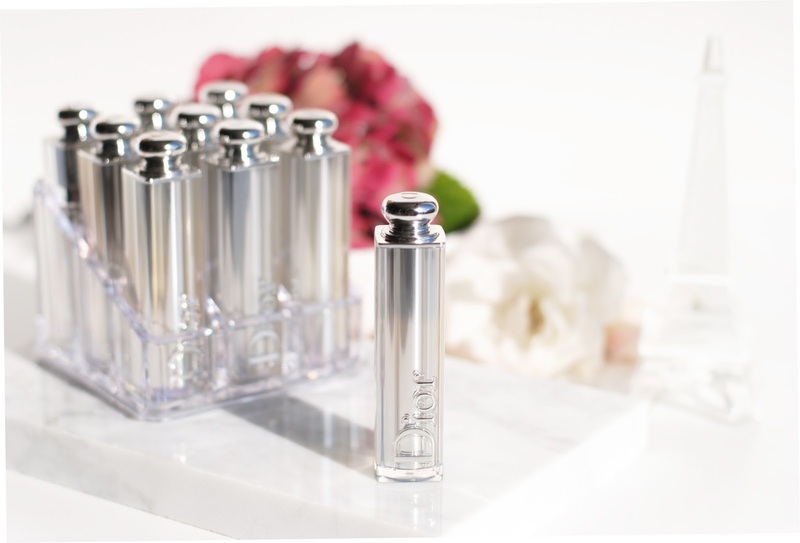 Well done Dior, the Skyline collection is a pretty one. 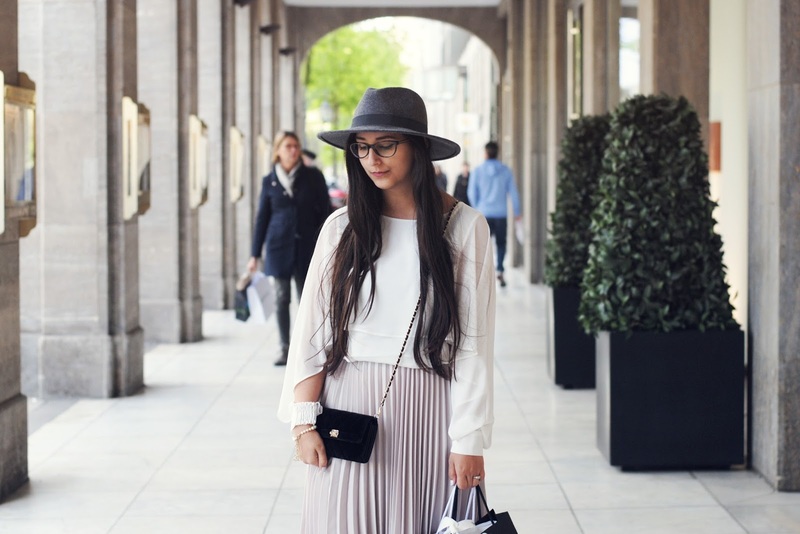 You created a really beautiful look! I think Sensational is a great and soft color for you! 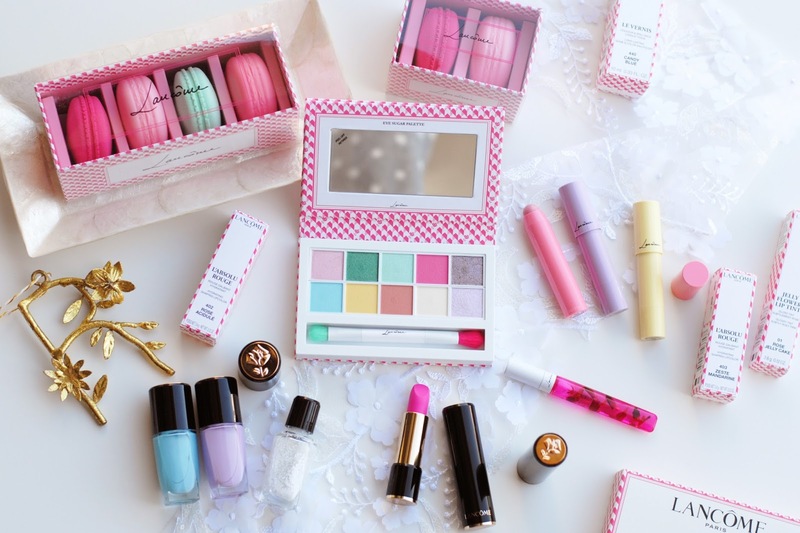 I also think that it's a very pretty collection with a lot of beautiful products. 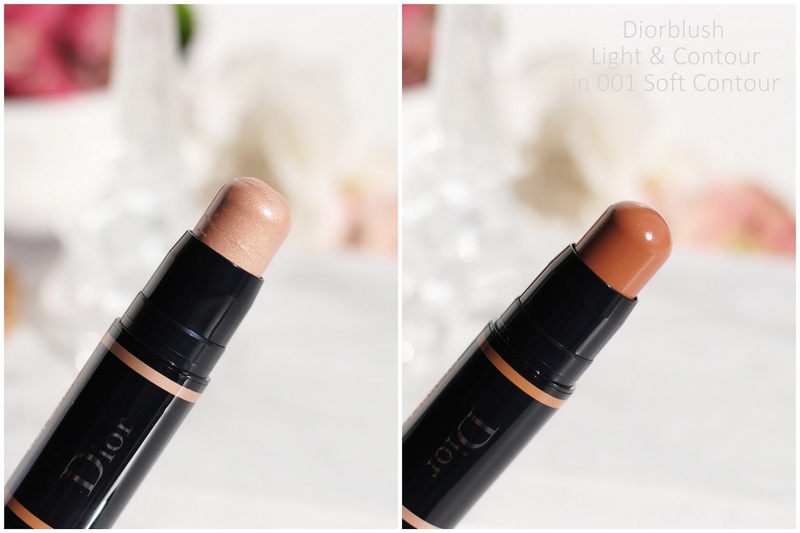 De Dior Flash luminizer is mijn lievelingsproduct, wat een mooie glans! De nagellak is ook wel verrassend! Seems like a great collection. Sooo pretty! this collection is soooo beautiful! 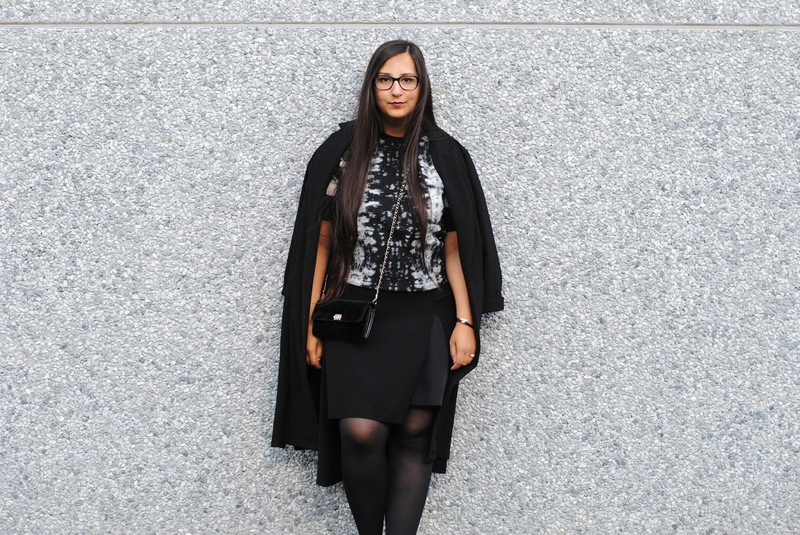 Gorgeous pictures rani and excellent review!